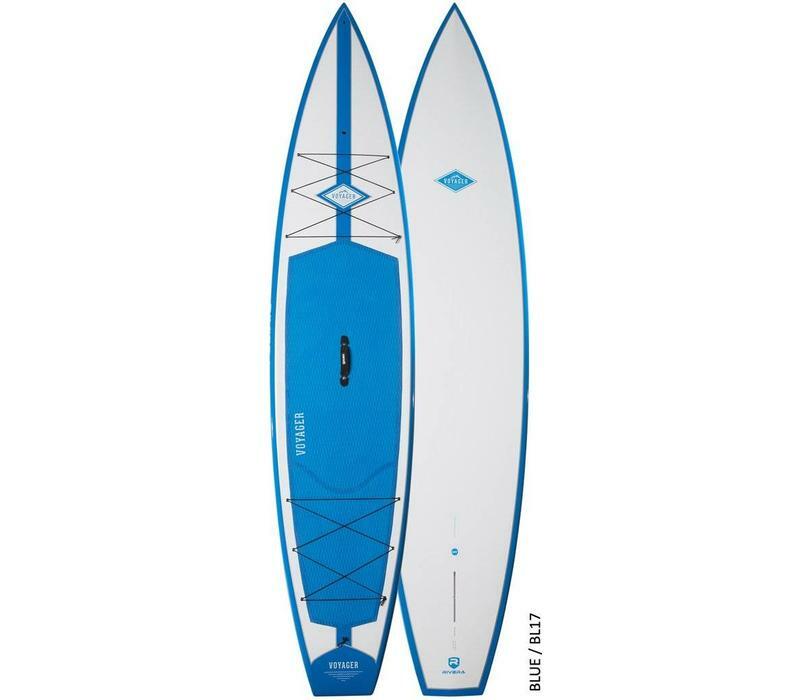 12'6" x 32" x 5.25"
The 12'6" Riviera Voyager is a perfect board for the first time or novice paddler who wants to feel comfortable, stable and confident paddling flat water and mild open water conditions. It has all the features of a raceboard but has been toned down making it more stable and user friendly. It is equipped with 14 leash plugs on the nose and tail to tie down all your gear. The displacement hull makes this board cut through the water efficiently, making long paddles much easier than a standard surfboard shape cruiser.